In the next few weeks, high school seniors contemplating which college or university to attend next fall will have some exciting decisions to make. And for a select group of outstanding seniors who will be matriculating at CMC and make up the Class of 2021, it was a decision best made early. 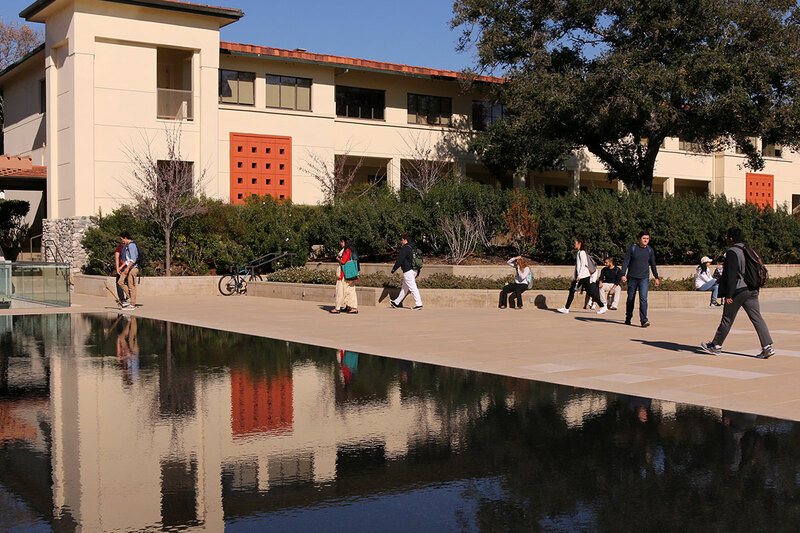 According to Jennifer Sandoval-Dancs, Assistant Vice President and Director of Admission at CMC, the College offered admission to 155 first-year students during Early Decision I (the first application period, which had a deadline of Nov. 1) and no doubt that was a load off their minds. In total, there are three application rounds for first-year students who want to attend CMC. The second round — Early Decision II — has a Jan. 1 deadline, as does the final Regular Decision Round of applications with a merit scholarship consideration priority deadline of Dec. 1. “The second round of Early Decision permits applicants additional time to conduct their college search, learn more about CMC, and to provide updated information such as their fall grades and/or ACT or SAT scores,” says Georgette DeVeres, Associate Vice President and Dean of Admission & Financial Aid at CMC. In looking at Early Decision applicants or, for that matter, any student, CMC seeks to enroll young people who show they have the comprehensive commitment, passion, and empathy to make the world a better place. According to Sandoval-Dancs, there are three areas admission officials evaluate to gain an understanding of the applicant and to contextualize their achievements. Life experience — We seek to assess the applicant’s life journey. Is there anything about this journey that has impacted, influenced their academic and/or personal achievements? Academic record — We seek students who are committed to their learning process and are eager to extend their learning process outside of the classroom and show commitment to their evolution as a scholar and informed member of society. Personal record — Who is the student outside of the classroom, who are they becoming, and who do they want to be? We expect students to maximize the resources at their disposal to learn, grow, and understand how their time and talents can be used to have a greater positive local, national, or international impact. The reasons students chose CMC vis-à-vis Early Decision seem as varied as the attributes the College looks for in selecting them. According to O’Neill, CMC’s excellent reputation in the fields of Economics and International Relations is what initially drew her to the College, and since she knew she wanted to study one of those disciplines, her selection process became easier. For Taylor Jackson ’21, who will be coming to CMC from Pritzker College Prep in Chicago, it was the “rigor and beauty” of the Russian language, which she learned during a course in high school, that led her into an Early Decision application to CMC. “Because of this, I want to double major in Russian and International Relations at CMC,” she says. As the second round of Early Decision acceptances and Regular Decision acceptances are received, more and more future students of CMC’s Class of 2021 will doubtless get that exciting first jolt that O’Neill, Jackson, and Fine have already experienced.